Is The Lego Movie anti-copyright? For a movie steeped in licensed cultural icons, brought to audiences by multi-conglomerates, and that spawned an untold quantity of tie-in merchandise, does The Lego Movie also argue strongly against strict copyright laws? 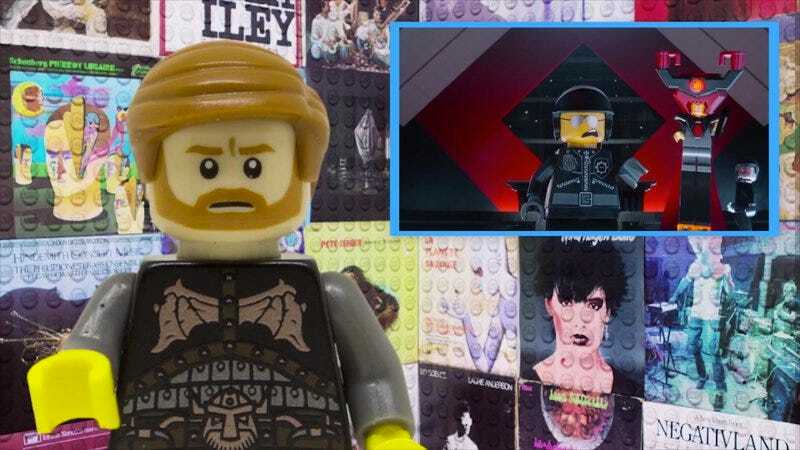 That’s the question posed by PBS Idea Channel’s latest video as host Mike Rugnetta (and later Lego Mike Rugnetta) examines the various ways in which, despite all of the film’s capitalistic trappings, the story itself promotes re-appropriation and remixing by fans and other artists. Rugnetta brings up many differing viewpoints and readings of the film (all supported by links on the video’s page) but ultimately wonders if the filmmakers were subversively using Lego’s own ability to gobble up intellectual property licenses to, counterintuitively, show the possibilities of a less stringent copyright system. This would be a system wherein more people can build off what has come before without fear of legal action or other forms of retribution from what Lawrence Lessig calls the “cultural nobility.” It’s an interesting hypothesis. Can something so entrenched in standard copyright law, that benefited so much from the protections under it, be used to critique those same laws?